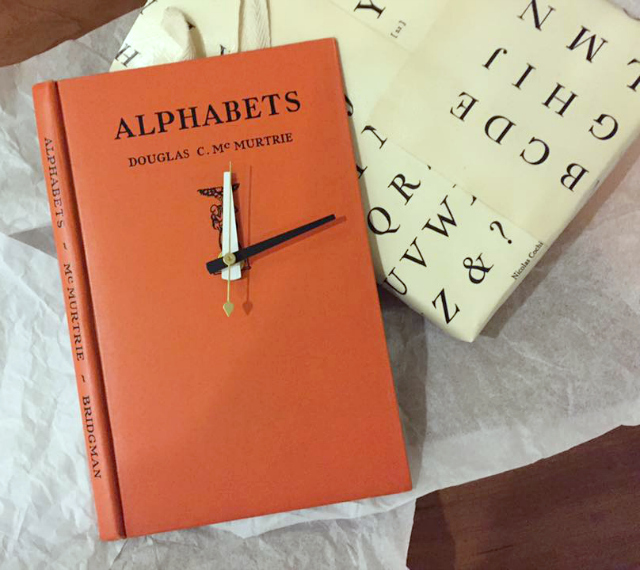 If you've been following this blog for a while, you know I make book clocks. 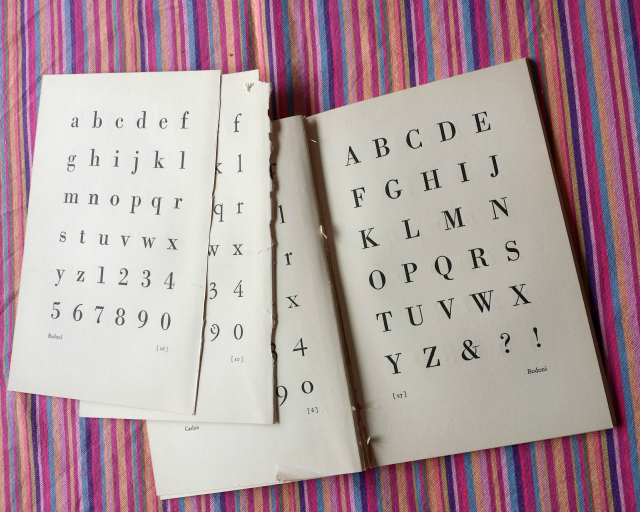 And here's my argument as to why it's ok to craft with old books. I don't usually remove the pages to make a clock - I like it to look like a book hanging the wall. But in this case, the pages are so interesting! And they were also falling out of the book. 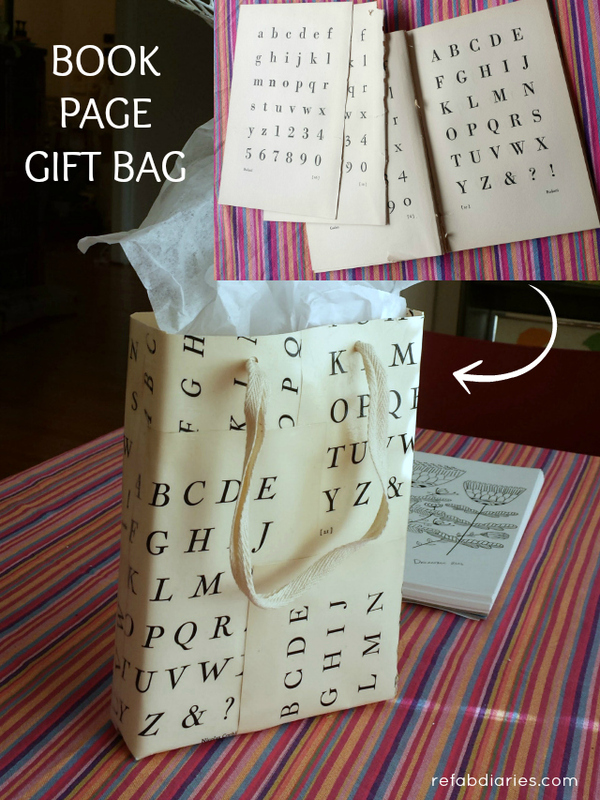 So I decided to try something new: use the book's pages to make a gift bag. 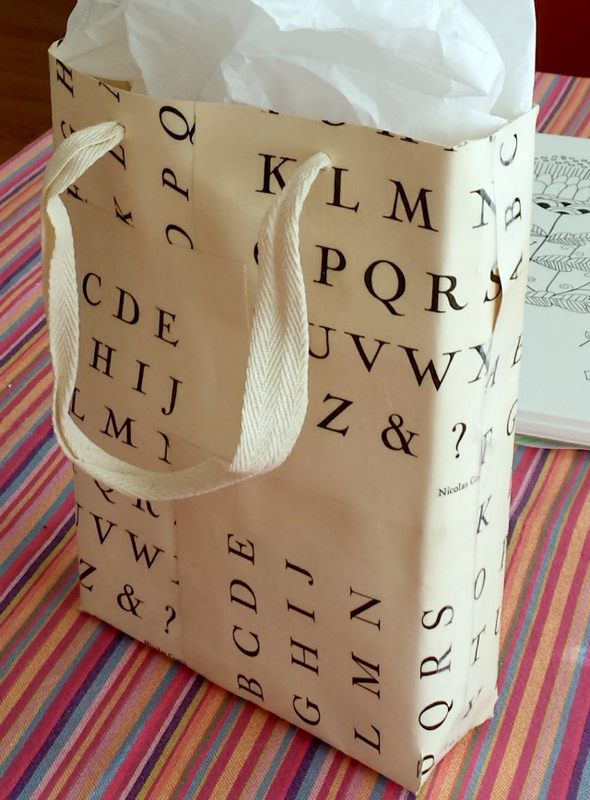 There are lots of great tutorials out there for turning paper into gift bags. Few were useful for this project. First, I was using book pages from 1928. They're so brittle, some are crumbling. 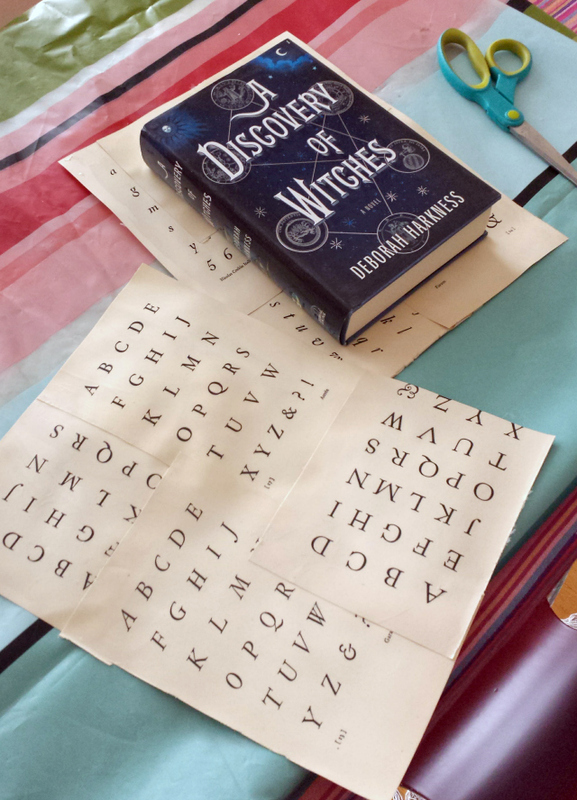 So... step one: reinforce the paper and create larger sheets with Mod Podge. I ultimately applied three coats. And yes, that's an old plastic shower curtain under the paper. 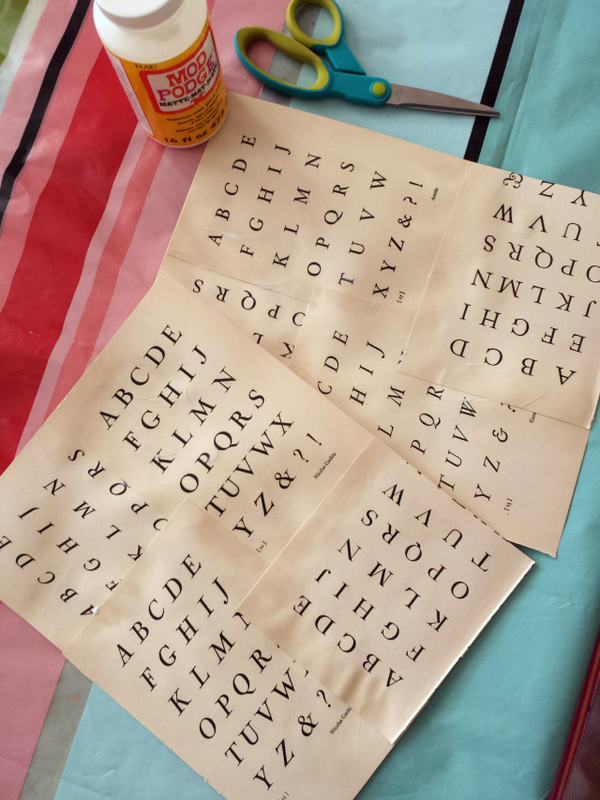 It's my go-to drop sheet for all messy craft stuff! Step 2: Take a look at this tutorial. 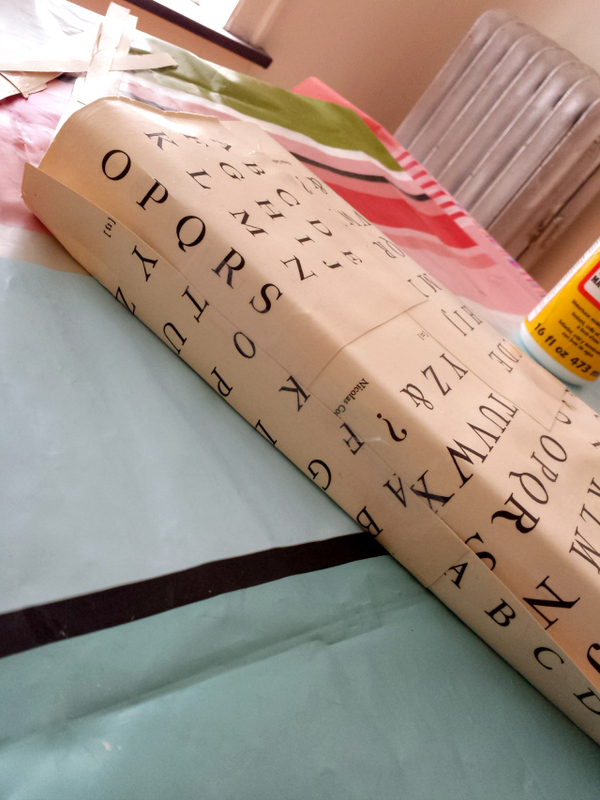 Instead of any fancy folding, you essentially wrap a book or box the way you would wrap a gift. It's not as elegant as some of the other things I saw, but it was the only way I was going to be able to work with this paper. 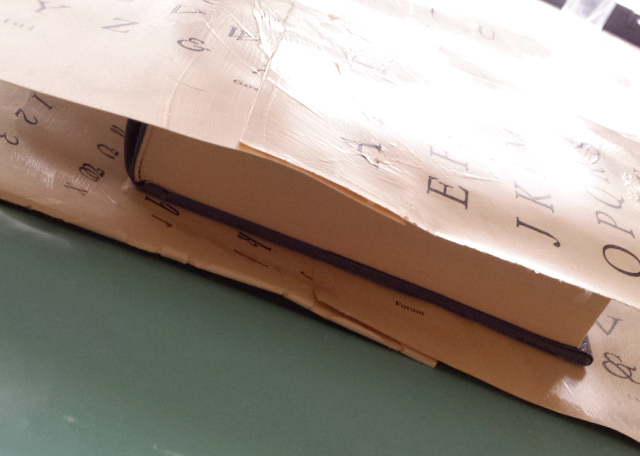 Step 3: Pick your book or box, fold the pages around it TRIM the paper if necessary. It was necessary for me. Step 4: Keep folding and taping. Even with all the Mod Podge reinforcement, this paper still cracked in a couple of places as I folded it. Here's the lovely old book that the pages came from. I handed over this gift a few days ago and the bag was as well received as the clock! So, worth the effort. Should I build a tutorial around this kind of book clock (with the pages removed)? If you'd like one, let me know in the comments below!